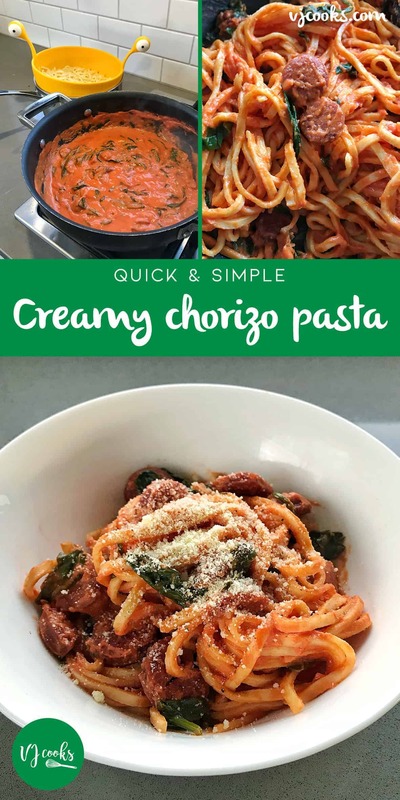 This chorizo pasta is so easy using fresh linguine, canned tomatoes, baby spinach, cream cheese, garlic and chorizo it can be made in under 20 minutes. 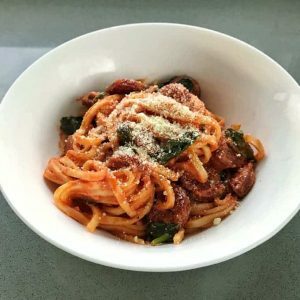 I whipped up this chorizo pasta recipe tonight from ingredients I had in the pantry and fridge. By adding the cooking cream it at the end it gives it a lovely creamy texture. If you don’t have this on hand you could use standard cream, sour cream or plain cream cheese. I used fresh linguine but you could use any dried or fresh pasta to go with this basic and delicious sauce. I stirred through baby spinach but other veggies would work well like peas or silverbeet. You can add some chilli flakes if you want extra spice in your sauce. This dish would also work well with other meats like sausages, chicken and even prawns. I like to top my pasta with parmesan and a good season of salt and freshly cracked pepper. 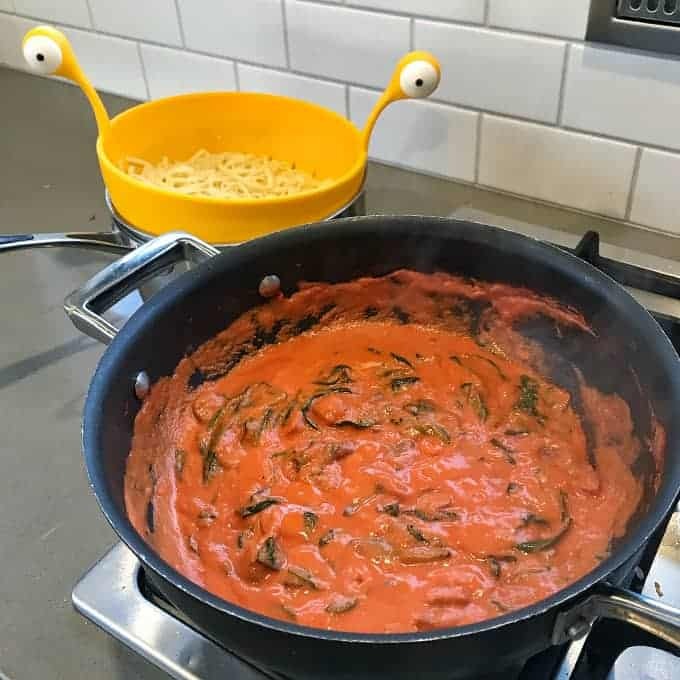 My cute Spaghetti Monster Colander is from a wonderful shop here in Taupo called Chef’s Complements you can find it here. 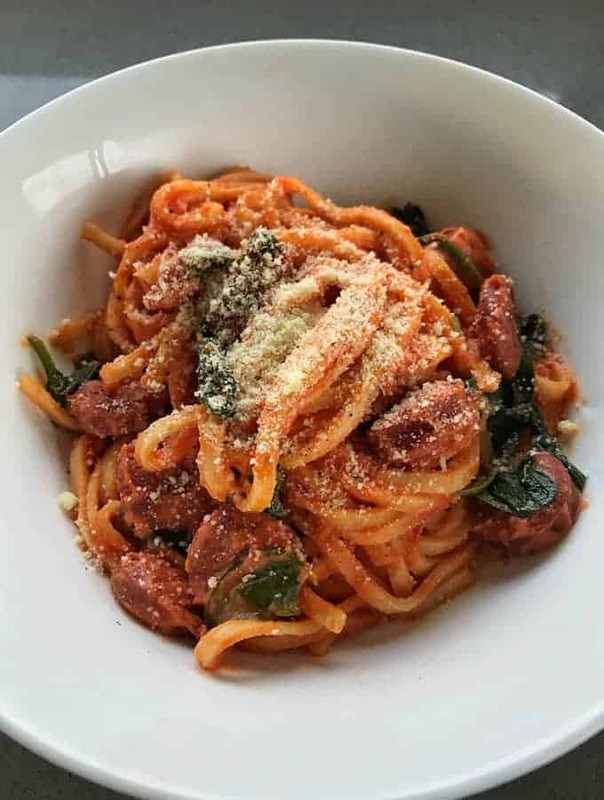 This chorizo pasta is so easy and can be made in under 20 minutes. 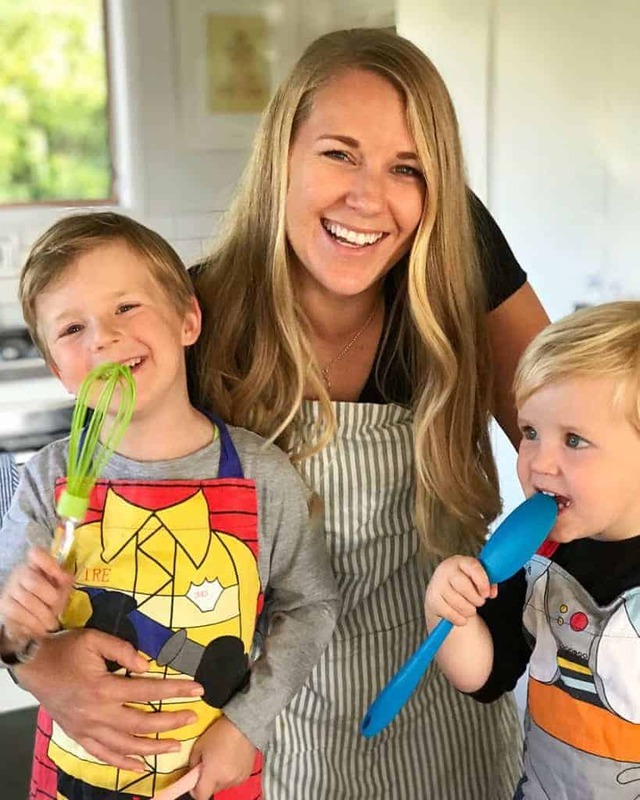 Cook linguine according to packet instructions until al dente. 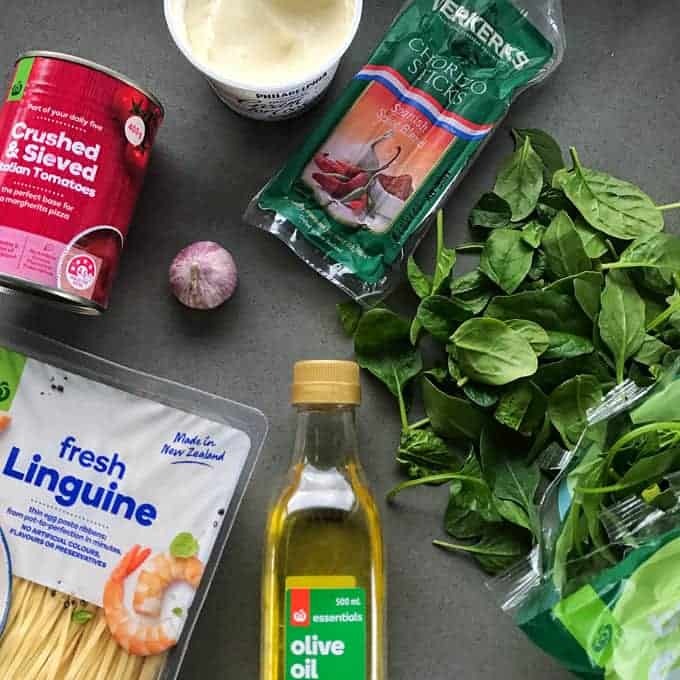 While pasta is cooking heat olive oil in a large frypan to medium heat. Add chorizo and fry a few minutes on each side until brown. Stir in garlic and fry for one minute, pour in tomatoes and stir again. Once tomatoes are bubbling add the spinach and incorporate into sauce. When spinach has wilted at the cream cheese and stir through sauce. Add drained pasta to the pan and make sure it is all covered in the delicious creamy tomato sauce. Serve immediately with loads of grated parmesan on top and season to taste.